Welcome to the We Like Shooting show, Episode 142 - tonight we’ll talk about Armaspec stocks, master chrony, mares leg, arm board tactical wrist coach, claw mounts, primary & secondary and more! Violence Policy Center releases report on defensive gun uses. Accidentally shows that they’ve been increasing! In addition, reddit user finds evidence that the study is a fraud. 8 People shot in multiple houses. Part of same event. Looks to be a drug related execution. Sheriff said he advised people to be armed to protect themselves. For only a dollar an episode, you can make sure that Aaron doesn't go hungry, that Shawn doesn't go homeless, and that Savage doesn't go postal. Please support the WLS podcast. If not for them, do it for the children. 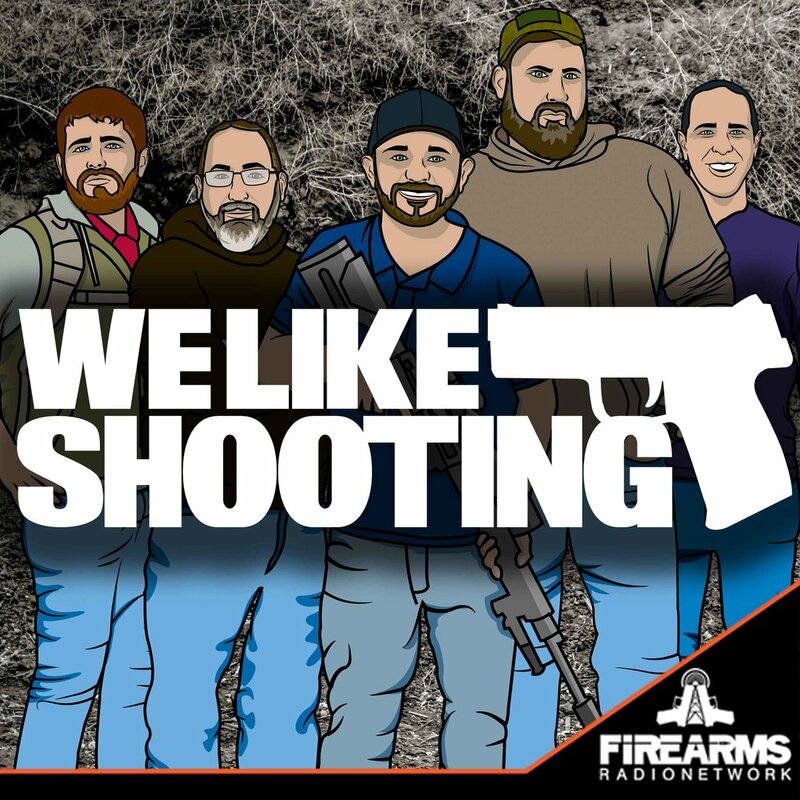 From pro (Jeremy) to hoe (Sorry Nick) , if you like the firearms, humor and you aren't easily offended this is a great podcast for everything from 3-Gun shooting to diabetes awareness. (Aaron aint got's no foots? )It's great to hear the suppliers talking about their gear and folks just cutting on each other the entire time, with Savage giving updates on gun culture issues, if that doesn't trip your trigger Lil's voice... you just might spend some time in your bunk. I didn't forget Shawn, he won't let you forget he's around... seriously... if he's not talking he's eating, if he's not eating he's drinking. Hi DAN!!!!! Never get enough episodes. 2 hours just flies with these folks. Keep it up! Solid reviews, opinions, advice and entertainment! Sean and the crew have done a fantastic job of keeping me informed on the latest gear, guns and policies regarding my favorite hobby. I enjoy the back and forth between the commentators and can empathize with most of Jeremy's rants being a veteran of 23 years. Aaron takes being the whipping boy in stride, Savage's passion for pro 2A assaults are appreciated and Roadies no nonsense approach to CCW is refreshing. Keep up the solid reporting and comedic relief, I appreciate what you all do!